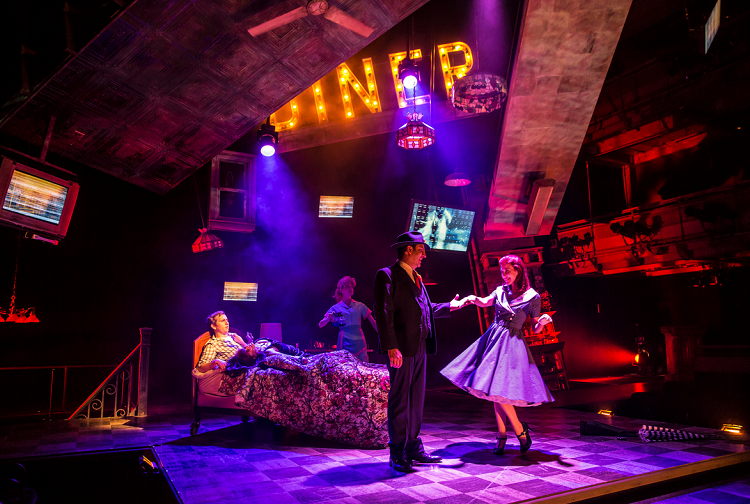 Goodman Theatre: Ask Aunt Susan Review – The truth is that you never know who you are speaking to on the Internet. We all have avatars that may or may not be real images of ourselves – and we have the ability to be whoever we want to be while sitting behind the computer screen. This is the premise of Ask Aunt Susan, directed by Henry Wishcamper and currently playing at the Goodman Theatre in Chicago through June 22, 2014. Led by Alex Stage as the narrator (very solid and present), Ask Aunt Susan takes the audience on a humorous and intense ride through modern day technology and relationships and how they intermix to create an alternate reality. Upon walking into the theater, the audience is met by a somewhat chaotic M. C. Escher-esque set that is decorated with television screens. Having seen a number of newer shows that utilized screens, I was a bit concerned that these would take away from the performance. This is completely the opposite. The televisions serve as a constant reminder that we are a “plugged in” society and propel the story forward as an assistant to the narrator. Built on a very strong script by Seth Bockley, the play itself is funny and thought provoking. The supporting actors (including Jennie Moreau, Marc Grapey and Robyn Scott) each steal the spotlight in their own way, but you find yourself always grounded by the narrator. Ask Aunt Susan is an enjoyable production that will leave you thinking through the last second of the show and well after the bow. 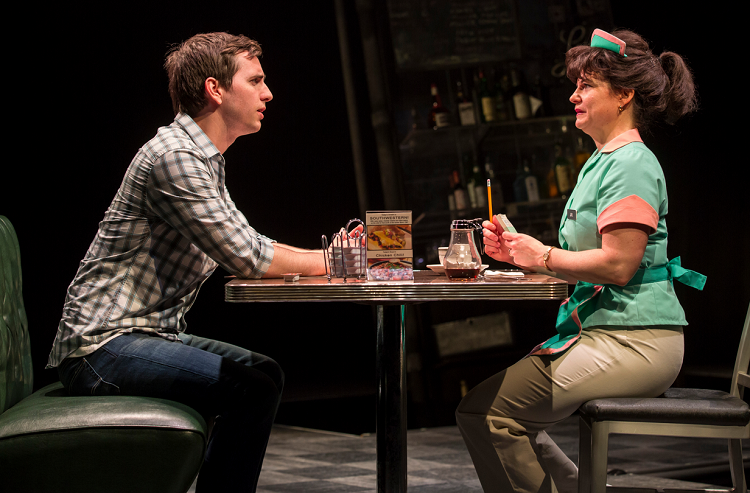 Goodman Theatre: Ask Aunt Susan Review – Ask Aunt Susan is playing at the Goodman Theatre between 5/24-6/22. Tickets can be purchased through the Goodman Theatre box office online or by calling (312) 443-3800. Goodman Theatre is located at 170 North Dearborn in Chicago.